New York (TADIAS) — Below are the names and biographies of the 2015 Mandela Washington Fellows from Ethiopia. The Mandela Washington Fellowship for Young African Leaders is the flagship program of President Barack Obama’s Young African Leaders Initiative (YALI). 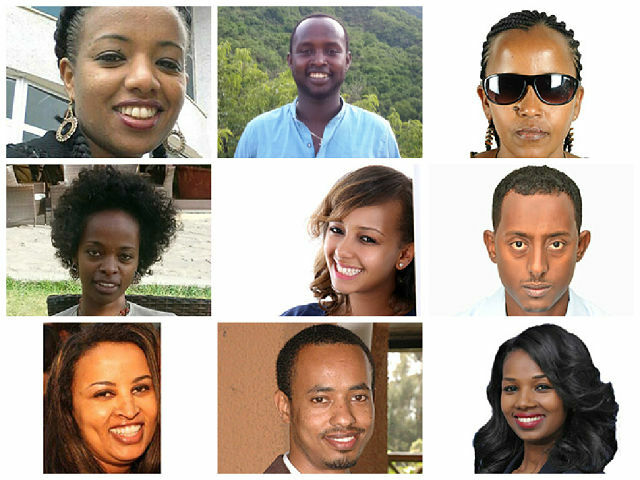 The fourteen fellows from Ethiopia, all under the age of 35, are part of 500 other promising young leaders from across Africa who are selected to attend top U.S. universities over the summer for a six-week academic and leadership institute in one of three areas: business and entrepreneurship; civic leadership; or public management. Helen Abelle has over five years’ experience in various fields of the legal sector. Currently, she is a researcher and trainer in the Southern Nations Nationalities and People Regional State Justice Organs Professionals Training and Legal Research Centre, where she focuses on conducting research and training on current legal, social, and human rights issues. Helen obtained a Master’s degree in Human Rights from Addis Ababa University, managed to get some of her research published, and is a volunteer for the Ethiopian Red Cross Society and Ethiopian Human Rights Council. Upon completion of the Mandela Washington Fellowship, she plans to continue her work in the development of human rights protection and good governance in her community. Abdela Alite has over seven years of experience in different departments of South Omo zone health department, first in drug supply and distribution expert for about a year, then as a quality control process coordinator for another two years. Currently he is head of the department, coordinating about 33 health centers, 247 health posts and one general hospital. He also volunteers in fund-raising activities for helpless children to continue education, as part of a local organization called Male Development Organization. Abdela holds a Master’s degree in Public Health from the University of Arbaminch. Upon completion of the Fellowship, Abdela wants to continue working on the education of maternal and child death and also on combating communicable diseases. Hana has over 7 years’ experience in the area of disability, particularly in leadership positions and the teaching of basic computer skills for blind persons. 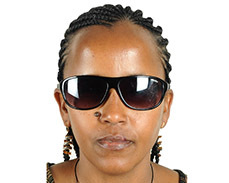 At present, she is working as general manager in the Ethiopian National Disability Action Network, where she gives due attention to strengthening collaboration and creating a united voice among disability-based organizations. She volunteers in associations for women with disabilities, is board vice-chair and a member of the general assembly enabling her to give advice, design projects, and reflect the issues of persons with disabilities at different stages. 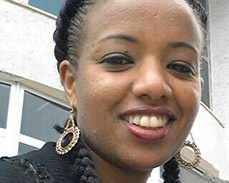 She has certificate in Basic Computer Skills, a diploma in teaching English, and graduated from the Addis Ababa University with a first in sociology. After completing the Fellowship, she plans to share her experience with the disability community, and facilitate ways where persons with disabilities can access equal opportunities and participate in every sphere of society. 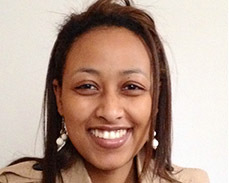 Hilina Berhanu Degefa has four years’ experience as a women’s rights advocate. She has been working in the area of human rights for women with a particular focus on grassroots advocacy, gender-based violence, and empowerment of women in educational institutions. She is co-founder of the Yellow Movement AAU and Women for Change in Ethiopia as well as youth-led organizations that promote women’s rights. She is responsible for having managed campaigns and run online activism in support of women’s rights, serves as the president of Women for Change in Ethiopia, and is also involved in the Sanitation for Education project. 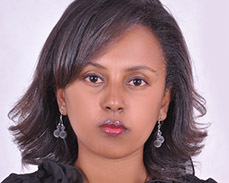 Hilina holds a Bachelor’s degree in Law from Addis Ababa University, School of Law. Upon completion of the fellowship she plans to work on youth mentorship and expand the Sanitation for Education project by setting up sanitary booths and selling or giving sanitary pads for free all across Ethiopia. Dag has been working for over nine years as an advocate, educator, and research consultant with a focus on disability rights and inclusive development. He holds a Bachelor of Law degree from the Addis Ababa University, Ethiopia, and a Master’s of Philosophy majoring in Rehabilitation and Development Studies from Stellenbosch University, South Africa. He is currently the Africa Regional Coordinator at Disability Rights Promotion International, a project run by York University, Canada to establish a monitoring system that addresses disability discrimination globally. He’s also co-founder of ThisAbility Consulting, an initiative which aims to bridge existing gaps of participatory disability research in Africa. A childhood polio-survivor, Dag embraces an outstanding blend of lived experience and professional excellence in his fields of expertise. Upon completion of the Mandela Washington Fellowship, he will continue his robust contributions to efforts of creating an inclusive society in Ethiopia and the continent. Maji is a social work and mental health professional with over five years’ experience working with different academic and research institutions. Her major areas of interest include mental health, poverty, migration, food security, and gender. 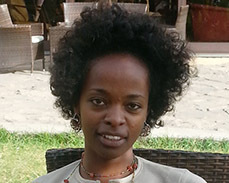 As an educator and researcher, she is working with Hawassa University in Ethiopia and currently pursuing her PhD in Mental Health Epidemiology. Her doctoral dissertation combines an intervention and research on understanding barriers to equitable access to mental health care. In her undergraduate, she majored in Philosophy with a minor specialization in Sociology. She has a Master’s degree in Social Work. Her long-term career plans include initiating a regional research and training collaboration involving five East African countries. Upon return, she aspires to invest on equipping the next generation of social activists in Ethiopia. Yordanos has over seven years’ experience working with coffee farmers’ cooperatives in different positions, particularly the export department. She established her own coffee exporting company, Coffee Culture Coffee Export PLC, where she is the manager. Yordanos also serves as a chairperson of women organized to support each other to address socio-economic problems. She volunteers at Give Hope Ethiopia, a charity helping orphaned and vulnerable children, youth, and women in Ethiopia to which 10% of her company’s revenue goes. She has long-term plans to be one of the top coffee exporters, with her own coffee farm and processing plant producing traceable and quality coffee, creating more jobs for others, mainly women. After the completion of the Mandela Washington Fellowship, Yordanos plans to apply the knowledge and skills obtained from the opportunities she gains to improve her business and enhance the community she serves. 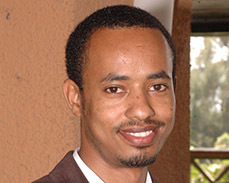 Meron Asfaw is an architect, lecturer, and researcher at the Ethiopian Institute of Architecture, Building Construction and City Development (EiABC) of Addis Ababa University. She is currently involved in research related to sustainable rural housing initiatives, Sustainable Rural Dwelling Unit (SRDU). In collaboration with her colleagues, she spearheaded the SRDU research and has been closely involved in it for the past four years as an author and point person for the management of documentation, publication, and design as well as construction tasks. She strongly believes that real change in rural areas will come when modern science and traditional knowledge learn from each other. Upon completing the Fellowship she plans to continue working on sustainable building practices that will enhance the livelihoods of farmers, particularly in Ethiopia but even more importantly across the African continent. Dawud has over six years’ experience in teaching, research, international relations, and community service. 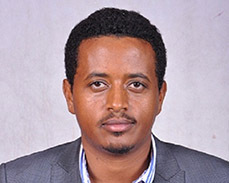 He is currently a lecturer and researcher at Samara University of Ethiopia, where he also serves as an executive director for the international and public relation affairs directorate of the university. He has been serving in different senior leadership positions of the university for many years and is the founder and president of a NGO called the Afar Development and Scholarship Fund which is dedicated to the advancement of education and development affairs in Afar state of Ethiopia. Dawud holds a Master’s degree in business administration from Andhra University in India, where he focused on international business and leadership aspects of management. Upon completion of the Mandela Washington Fellowship, Dawud plans to continue serving his University and to work in promoting development and education to eradicate poverty focusing on activism for youth education and empowerment. 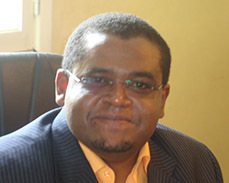 Balayneh holds Master’s degree in Development Studies from Addis Ababa University. For over 10 years, he has designed and managed a number of agricultural growth and economic development programs and projects with NGOs, donor agencies and the Ethiopian Government. He is currently working in Ethiopia as capacity development advisor to the Department of Foreign Affairs Trade and Development of Canada. He volunteers as a board member for KMG Ethiopia, a community-based organization that helps thousands of rural women, girls, and marginalized communities to emancipate themselves from violence and discrimination. 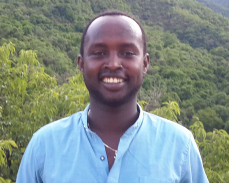 His experiences, beyond developing his skills and capacities in development management, have enlightened him to learn about business opportunities that can hugely benefit smallholder farmers in Ethiopia and beyond. He believes that the Mandela Washington Fellowship will help him acquire the skills, networks, and resources he needs to establish a socially viable, prototype Agribusiness Centre in Ethiopia on his return. Israel Taye is young pan-African lawyer from Ethiopia, passionate about African renaissance, youth empowerment, sustainable development, and human rights. He aspires to fast-track youth participation in continental and international development initiatives and has over three years’ experience in various fields in the public management sector, in human rights in particular. Currently, he serves as a legal assistant for the African Commission on Human and Peoples’ Rights under the African Union’s youth volunteer program. In this capacity, he focuses on issues relating to extractive industries and environmental rights, as well as other human rights violations in Africa. Israel holds a Bachelor of Laws degree from Addis Ababa University in Ethiopia and volunteers for community initiatives aimed at youth empowerment through life-skills development and career guidance. Upon completion of the Mandela Washington Fellowship, he plans to engage in youth empowerment and development forums both nationally and within the African Union system. 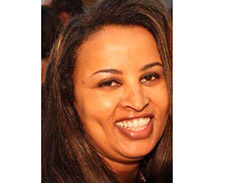 Marta Tsehay Sewasew has six years’ experience and involvement in several developmental programs on girl’s education, women economic empowerment, youth leadership, adolescent and youth reproductive health, and orphan and vulnerable children support projects. Currently, Marta is working for the Development Fund of Norway in Ethiopia as a program coordinator on the Girls Education and Youth Participation program, where she focuses on program design and development, management, monitoring, and evaluation. Further, Marta initiated a program called Mobile for Students Reproductive Health (M4SRH) for University students, which uses mobile technology to convey reproductive health messages. She also played an important role in the preparation of a national life-skills manual for students in Ethiopia. Marta has a Master’s degree in Social Work with a Bachelor’s degree in Sociology. She plans to continue her effort on scaling up girl’s education and the M4SRH initiative on completion of Fellowship. 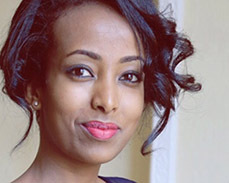 Ethiopi has over three years’ experience in various fields in the real estate sector and works passionately towards introducing green buildings to Ethiopia, and developing a culture of sustainability within the real estate sector. Currently, she is the principal founding member and general manager of Olympus Real Estate P.L.C, a green company committed to developing eco-friendly homes. Ethiopia holds a Master of Science degree in Real Estate Management from the KTH Royal Institute of Technology in Stockholm, Sweden where she focused on rapid urbanization and housing shortage in Africa while reflecting on the opportunities within the problem facing her country. 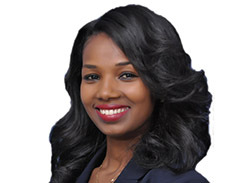 Upon completion of the Mandela Washington Fellowship, she plans to continue her work in her real estate company with a focus on building green, and establishing a positive influence on her fellow professionals in the industry into becoming more environmentally consciously, ensuring a better future for all. Hermi has spent five years working with rural communities in Ethiopia focused on the provision of clean water and promotion of hygiene and sanitation. She is currently the general manager of Drop Of Water, the NGO she co-founded as a university student, and believes it is the honor and moral obligation of all university students to stand for the betterment of their community. Demonstrating the power of grass root volunteerism, Drop Of Water has provided clean water access to tens of thousands of rural communities in Ethiopia. 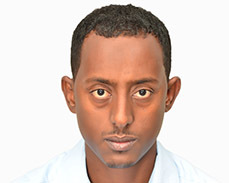 Hermi has a degree in civil engineering from Mekelle University, and has completed training certifications on emergency water and sanitation and water safety plans. Through people working together, she believes the water crisis can be ended, and upon completion of the Fellowship plans to continue her work with volunteers with a focus on community leadership and fundraising.